Recently my friend Anna reminded me of this recipe I’d used lots a few years ago. 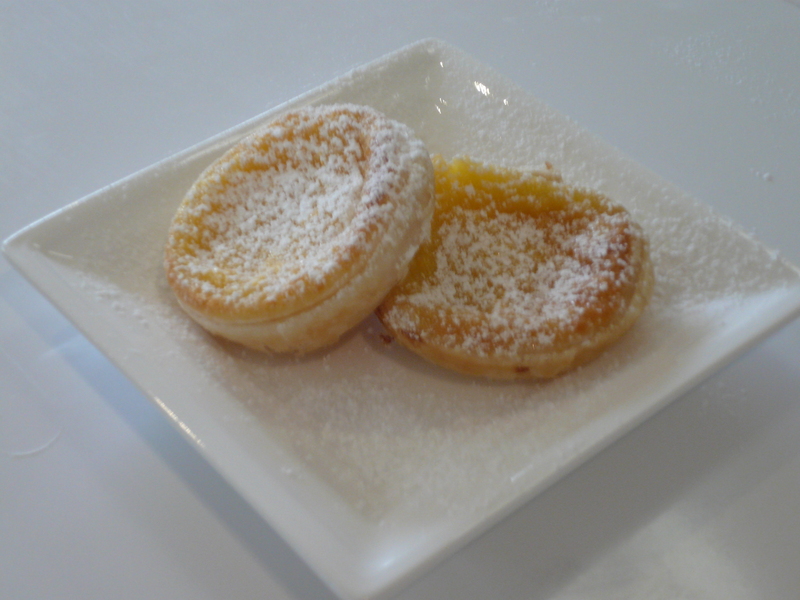 The recipe is my take on Portuguese Tarts, morphed into its current form from a Stephanie Alexander Lemon Tart recipe. These little custardy wonders are dead easy, really yummy and make a very affordable morning/afternoon tea or dessert when served with a dollop of cream or a scoop of ice-cream. They’re quick to make and store for 5 or so days in an airtight container. This recipe makes 36 tarts and costs around $5. 1. Cut pastry rounds big enough to fit muffin sized tins, with a little extra to go up the sides. Should get 9 out of 1 sheet of pastry. 2. In a bowl combine all the other ingredients with a whisk. Pour liquid into a jug. 3. Fill pastry cases to almost full and bake at preheated oven at 180 deg for 20 mins or until browning on top. Tarts will have risen and look huge, but will fall again when cooling (which is what you want). 4. Cool on wire racks and serve either warm or cold on a platter with them all piled up and dusted with icing sugar. Makes 36.